Peter Askey only had 150km left to reach Cape Reinga and catch up to his wife Jane who completed two weeks before. Both wore out a pair of shoes during their journey, so fitness and weight loss comes at a cost! A casual conversation when visiting a family member lead Rotary Club of Palmerston North, NZ then President David Petre to start thinking. A group of friends had created a competition to walk the entire length of the country by mapping the distance of their daily neighbourhood walks manually onto a map as a competition to see who could cover the distance first. David passed on his thoughts to his club’s fundraising project team as a possible opportunity to create something a lot bigger, and in doing so, a fundraising vehicle for the club. After many coffees and lots of brain storming the RU^4ITTM (Are You Up For It) concept was created. The project team came up with the proposition to create a virtual walk for the entire length of NZ. Participants would log their daily walk distances into a web-based tracking database and have their progress provided graphically via the internet. Furthermore, as the participants progressed up the country, they would receive emails of acknowledgement from mayors and identities as they passed through major cities complete with a welcome and an overview of the must see attractions and things to do. How to make it happen? In stepped Past President Garry Goodman and his web skills and RU^4IT became a reality. For a small fee of $NZ50 each people can now log on either as individuals or as groups and start their exercise challenge to walk the length of NZ, starting at Bluff in Southland and finishing at Cape Reinga in the Far North, while never leaving town. The group option provides specific groups such as work places the opportunity to form their own competition and track progress against each other as a team building exercise. The pilot phase has been in place for the past year. So far 65 people have joined up and some have already completed the 2074 kilometres. David says, “This is a great way for the club to encourage health and wellbeing and at the same time raise funds for the club’s YouthPlus and PolioPlus programmes. 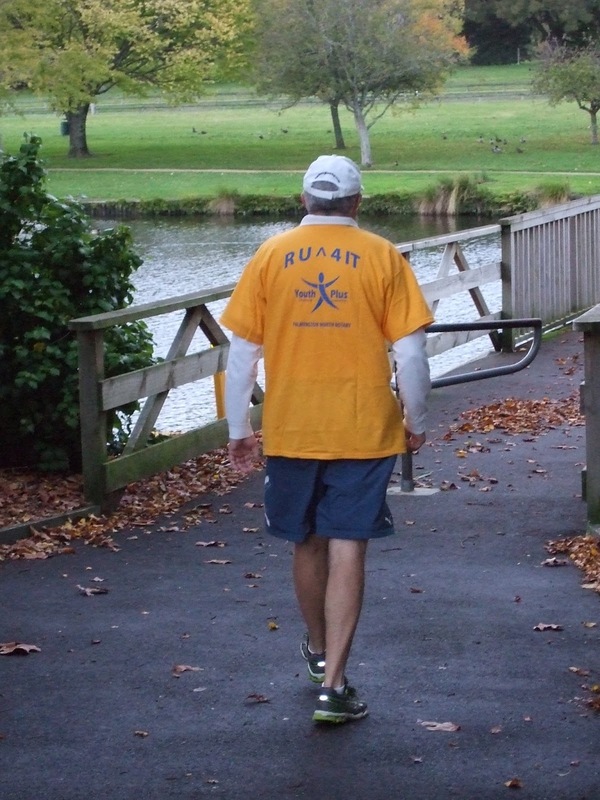 The Palmerston North Rotary’s goal is to get 1000 people involved”. If you think you are up for it, or want to know more, google RU^4IT and get involved with this life changing project now.